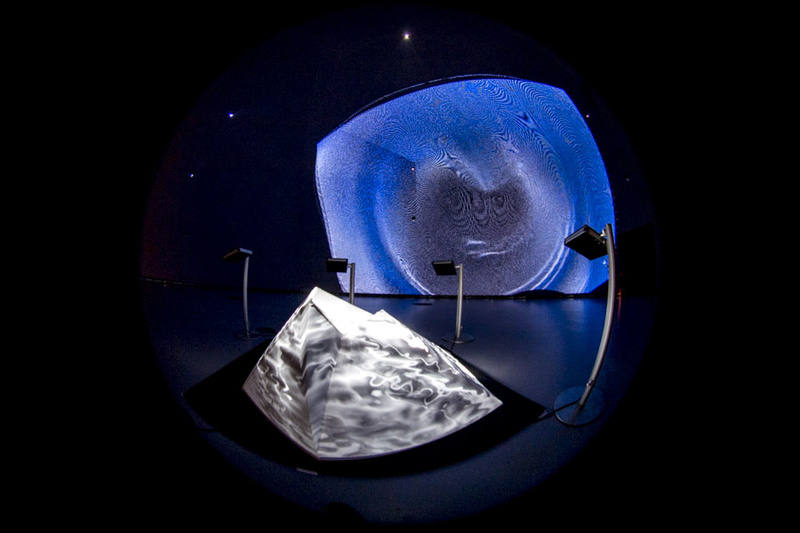 ObE was presented as a piece of work for the Society for Arts & Technology (2013) by visual artists Maotik and Fraction alongside Mutek. Mutek is “a not-for-profit organization dedicated to the dissemination and development of digital creativity in sound, music, and audio-visual art. Its mandate is to provide a platform for the most original and visionary artists currently working in their fields, with the intent of providing an outlet of initiation and discovery for the audiences we seek to develop.” (Mutek 2013). The main focus for Mutek is the emphasis on cutting edge music, but also shows the most innovative and experimental audio-visual work available. The work is 35 minutes long and is performed live. It is created from pre-determined chapters alongside interactive elements. 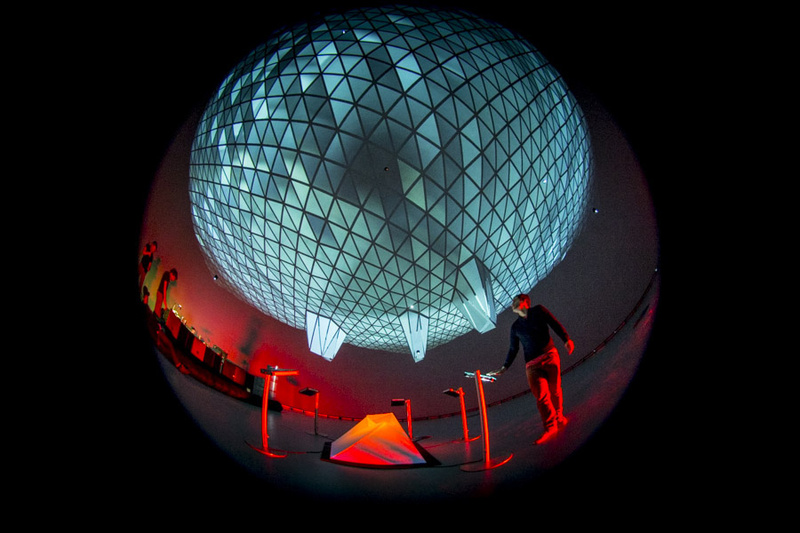 All of the elements come together to create an immersive environment which draws you in to discover that the work is a “living digital organism” (Polop 2014). 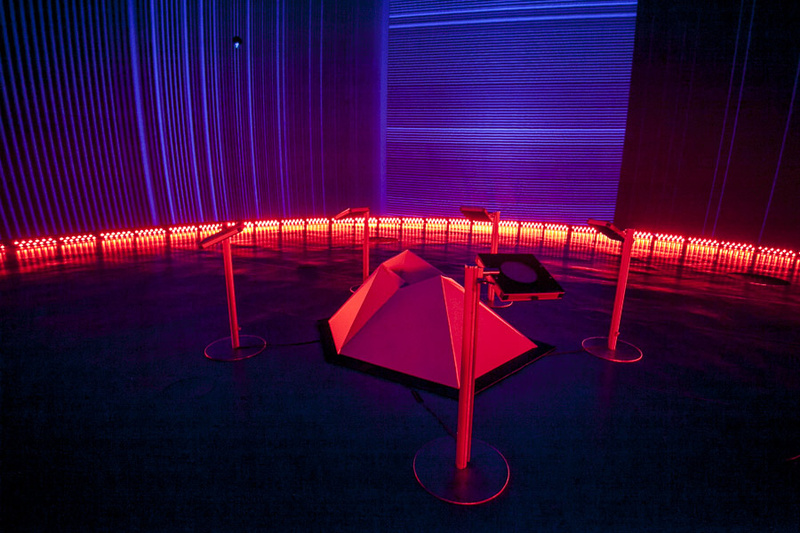 In the centre of the room are several infrared sensors which the viewer can interact with, much like a Theremin, by moving their hands up and down. This allows the viewer to both construct and deconstruct the work.